Hi my name is Ata Faletanoai I am a year 8 student at Point England School. My teacher is Mr Wiseman. Firstly, I was waiting with my Mum and my Aunty for our flight. While we we're waiting we we're weighing our bags to see how heavy it is. After weighing our bags we waited and waited until it was time to go. I felt excited that we are leaving New Zealand to go to Tonga. Once it was time for us to leave we said our goodbyes to my family and then we left. Once we left I felt so excited that I was about to go on the plane for the first time. We checked my mum’s handbag and our other stuff and it was taking quite a while. I thought to myself that we were about to miss our flight I was getting worried and scared at the same time. Once most of our stuff has been checked I wasn’t that worried anymore. Once the checking has been finished we carried on walking towards the plane I was getting excited again that I was about to go on a plane. I was rushing my mum telling her ‘’to walk faster so we won’t miss our flight’’. When we arrived inside the plane myself my mum and my aunty sat on our sets and the plane took off. After, Sitting in the plane for about 2 and a half hours I was happy that the plane was landing in Tonga. Walking out the door feeling the nice breeze I felt good that we have finally arrived in Tonga. Waking up to a beautiful morning on Wednesday the 16th of September. The year 7&8' girls basketball team represented Point England School at Selwyn Collage. There were 8 teams that attended the basketball tournament. Once we walked into the Selwyn Collage stadium we watched the teams who were playing the the court. There were only 3 courts in the stadium. After watching the teams who were playing we went down because it was time to play. After our first game we went straight for a little drink then we had a game after that. We won both games but then we had our third game it was a hard game. We caught up in the second half but we still lost. The score was 27 - 22. At the end of the day we came 3rd. It was a good day and I was proud of the girls. The cross country day was on Monday the 7th of September. Cross country is the day where the whole of Point England School runs in their year group. There are 4 house colours which is (Tokite Temu) (Te Aroha) (Tainui) (Matatua). Tokite Timu is yellow Te Aroha is red Tainui is blue and Matatua is green. On the beautiful day of Monday we had lunch early at 12:15. Because at lunch time which is at 1:00 it is when our whole school starts the cross country. The first runners we're the year 1’s then it carries on up until the year 8’s. We sat in the sun all day waiting for our turn to run. Then few hours past by and it was the year 8 girls to run. The year 8 girls had to line up in a line and walk onto the hard grass. Everyone was in there starting position. As Mr Burt smacked his two woods together we all ran. I was running and I was huffing and puffing threw out the whole race. I felt sweat dripping down my forehead. Half way threw the race I walked for quite a long time. I ran out of breath and my legs we're so sore I could hardly walk. The finish line was just a few steps a head of me. I walked for about just a few minutes then I ran the rest of the way. While I was running I felt like I wanted to stop and walked the whole way but I chose to the run the rest. Passing the finish line was the best feeling. I felt nervous at the start but now I feel proud of myself. Now that the cross country is over I can finally rest my sore legs. 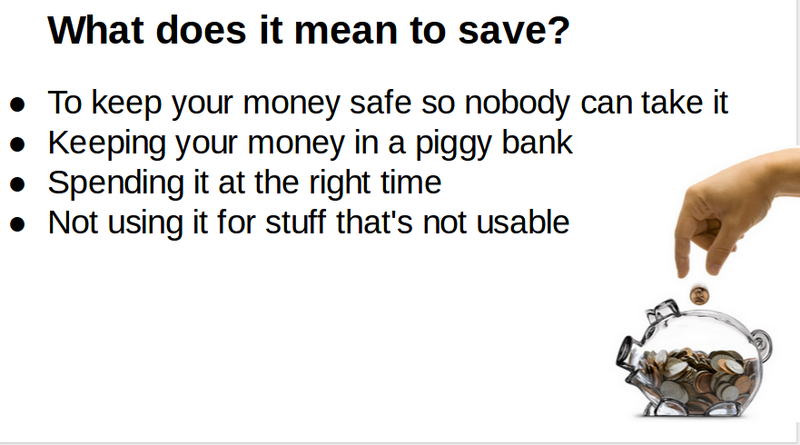 During the last few weeks in inquiry we have been working on our Spend, Share, Save. 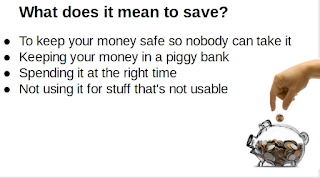 It is about saving your money. What I have learnt during our season was that saving is something impotent. You can get money by working. At the moment I am at the red stage witch means I haven't been turning in my task at the right time. When it's Wednesday my goal is to turn in all my task at the right time so then I can move up to the orange level. The Spider is big and long it is very scary as you know. Its also a boy spider and it has long legs. It is a daddy long leg. Its a black spider with brown bright eyes. Ata was so terrified when she saw a big long spider come out of the wardrobe. She didn't know what to do at that very second. Ata woke up scared once she saw the spider it was the scariest day of her life. Ata was so afraid of the spider because it couldn't stop following her everywhere she went. It was annoying. My family and I tried to stop the spider from causing a lot of trouble. The spider was annoying everyone. When the spider couldn't stop scaring people we gave up. We couldn't get the spider out of the house and we couldn't solve the problem. So we just let the do what he wanted to do. Hi my name is Tafao'ata and I am in Year 8, Room 1.